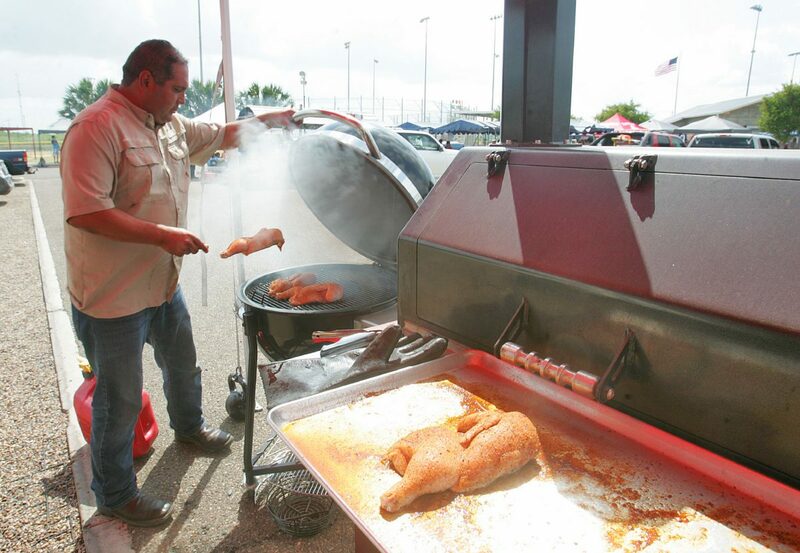 Jerry Cardenas places half chickens on the grill during the ninth annual Chili Showdown during the third annual Freedom Fest at Basilio Villarreal Municipal Park June on 24, 2017 in Rio Grande City. RIO GRANDE CITY — With the varying Fourth of July celebrations that occur throughout the Valley, the community here wondered why they didn’t have a fireworks display of their own. That finally changed three years ago with the creation of the Rio Grande City Freedom Fest that has steadily grown to include several events and vendors culminating in a fireworks display. The events include a cook-off, a kiddie carnival, a raffle, live musical performances, a softball tournament, and a firework show. Sebastian Gonzalez, 16, seasons a hamburger patty, with his father Willie Gonzalez by his side, to enter in the gourmet burger category in the ninth annual Chili Showdown during the third annual Freedom Fest at Basilio Villarreal Municipal Park on June 24, 2017 in Rio Grande City. 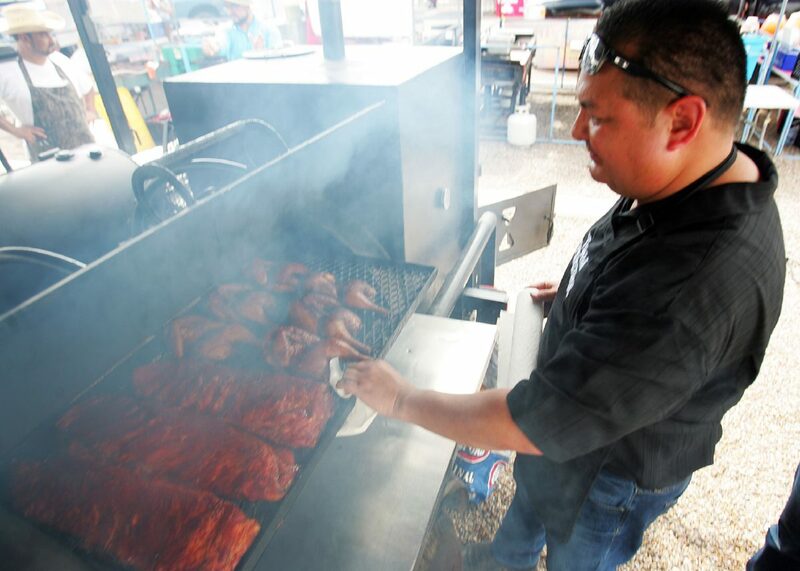 George Treviño checks on the chicken and ribs at ninth annual Chili Showdown during the third annual Freedom Fest at Basilio Villarreal Municipal Park on June 24, 2017 in Rio Grande City. The one-day fest, which is held at Basilio Villarreal Park, also includes the Miss Freedom Fest Pageant which is held the weekend prior to the fest itself. The cook-off has actually been running longer than the fest itself and is organized by the Rio Grande City Economic Development Corporation. The ninth annual Chili Showdown is the first to be held in conjunction with the Freedom Fest. 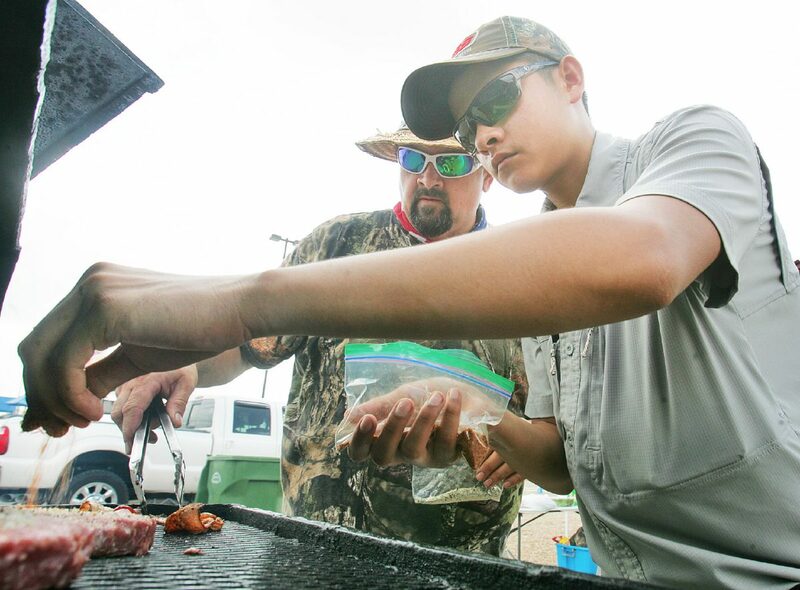 The competition is part of the International Bar-B-Que Cookers Association and though an annual event, wasn’t held around the same time each year, according to Fred Lopez, EDC secretary. However, the EDC hopes to have consistency by holding it with Freedom Fest. Although meant to commemorate Independence Day on July 4, the event scheduled two weekends before the holiday so as not to conflict with the celebration held in Roma. Planning for the fest begins in January and the city works to solicit sponsorships from businesses. “We noticed that when we approach businesses and let them know this is something that we’re doing for our community and it’s free and it’s not going to cost anybody anything, then they’re more willing to donate and help us out,” Hernandez said of the fest, which has a budget of about $35 to $40 thousand.